The concept of “social architecture” is not only a public architectural projects within the general urban development plan. Today around the world there is the growing popularity of so-called projects for people, ie socially useful projects in various fields, including architecture and design. We chose three striking examples of social architecture and design, which does not only benefit the people, but also inspire for the similar good deeds. Architect Alfredo Barsuglia established an outdoor pool for public use on a small plot of land in a remote part of the Mojave Desert in California. The pool is quite far from the city. The reason is to make visitors apply physical effort for getting there, who would eventually receive a reward for their work as a small piece of paradise among the barren, dry desert. The intention of the architect says that people will have a little time to reflect on the values ​​and social realities of life on their way to the social pool. 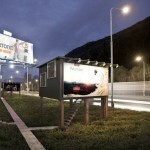 During recent decades the problem of increasing the number of homeless people is attracting attention. The search for solutions has become a daunting task for many professionals, including architects who develop ambitious projects to solve this social problem. 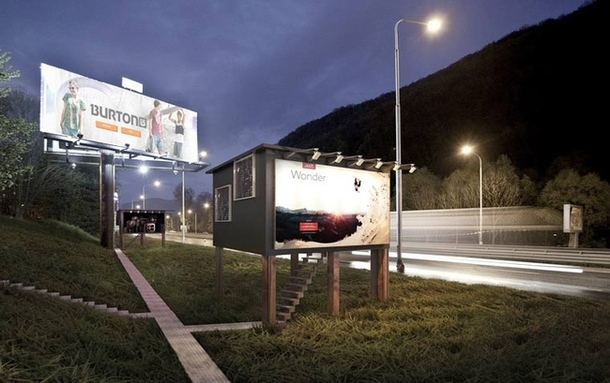 One of these projects was The Gregory project, devised by experts from the Slovakian studio Designdevelop, which offers the best option to ensure housing for homeless people through the use of billboards, placed along the roads. Installation and subsequent renting of billboards is quite costly, and this project enhances their functionality, transforming the interior space in residential areas. In addition, the amount expended by the electricity needed for lighting billboards at night, will be enough to illuminate the interior space of this small home. 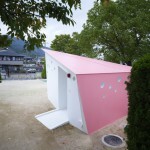 Hiroshima authorities held a competition for the best design of public restrooms, which later would become the subject of mass production and traditional element of the city. 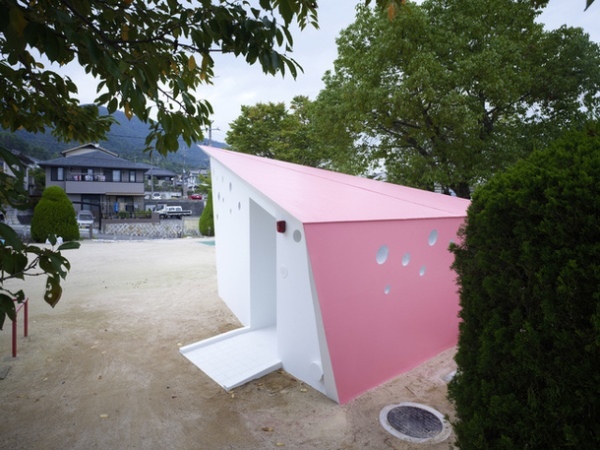 The winner was the project Hiroshima Park Restrooms, developed by the Japanese Bureau of Future Studios, headed by architect Bunsen Ogawa. Creative structures resemble origami and have triangular roof, which indicates to the North. With this addition to its main function the urban utilitarian restrooms became original arrows of compass for orientation across Hiroshima.